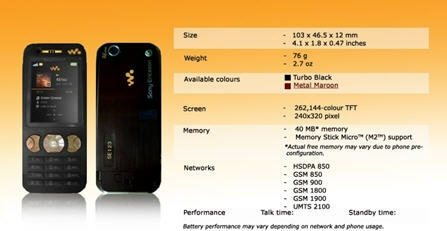 Sony Ericsson Set To Launch 3 New Cellphone? The joint venture by Swedish telecommunications company and Japanese consumer electronics company, Sony Ericsson is rumored to announce its three new cellphones including W890i, W380i and K660i in coming Tuesday, November 6th. As you know from their name, there’re two Walkman phones and one phone in the emotional design category. SE W890i – A 3G-capable Walkman phone which includes an accelerometer, an 3.2 megapixel camera as well as a new version of Sony’s Walkman media player software. SE W380i -A mid-range Walkman phone which features a new feature called as “gesture control” which should be able to control some media control by physical gestures. SE K660i – An internet-centric mobile phone which designed to allow users to browse the web in both portrait and landscape mode. In addition, this 3G phone also has a maps and navigation services, aiming to deliver the great mobile internet experience to the users.